SPECIAL OFFER: get additional 15% discount on purchase of 5+ licenses. Which Pinegrow edition do you need? How many licenses do you need? 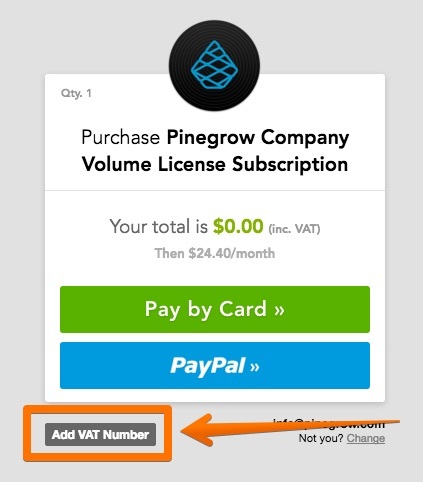 How many people will use Pinegrow? * To remove EU VAT enter your VAT ID during checkout. How do you want to manage serial codes? To make a VAT-free purchase enter your VAT ID during the checkout. Press on Add VAT number button on the payment method selection screen. Of course, your company needs to be registered for VAT for this to work.